select *, DATE_FORMAT(birthday, "%b %e, %Y") as _birthday, DATE_FORMAT(died, "%b %e, %Y") as _died, MONTH(birthday) as month_birth, DAY(birthday) as day_birth, DATE_FORMAT(birthday, "%b %e") as _birth_day_month from agatti_people where agatti_people.u_name = "ethel-barrymore"
Shares birthday with Wendy Hiller, Signe Hasso, Huntz Hall see more.. 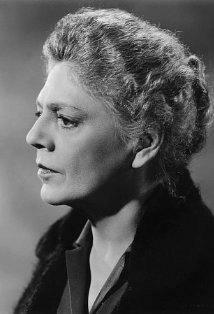 Legendary actress, Ethel Barrymore, was born Ethel Mae Blythe on Aug 15, 1879 in Philadelphia, Pennsylvania. 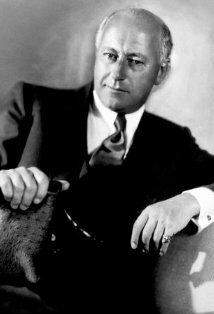 Barrymore died at the age of 79 on Jun 18, 1959 in Beverly Hills, Los Angeles and was laid to rest in Calvary Cemetery in Los Angeles, CA. Ethel Mae Barrymore was born on August 15th, 1879 in Philadelphia, Pennsylvania to one of the most respected families in acting history and was the second child of Maurice and Georgiana Drew, who took the stage name of Barrymore. For thirty years her grandmother, Louisa Lane Drew, managed the famed Philadelphia Arch Street Theatre. She made sure to teach her grandchild the ropes of theatrical life and ingrain a love of the arts. Ethel's father was famed British actor Herbert Arthur Chamblerlayne Blythe, who would use Maurice Barrymore as his stage name, thus giving name to the Barrymore acting dynasty. Her mother was American comedic actress Georgie Drew Barrymore and her uncle, John Drew, was a leading man of the American stage. Thanks to their theatrical dynasty, Ethel and company would spend their childhood smoozing with some of the greatest theatre actors of the day and would work to build upon the Barrymore name and add to the families acting dynasty. Because of her parent frantic touring schedule, young Ethel was often sent with series of relative to be cared after during her most formative years. She was eventually sent to live in the Covent of the Sacred Heart Catholic School, where she received her early education. When Ethel was just thirteen, her mother passed away and the young Barrymore was then forced to take on most her responsibilities such as taking care of her brothers. Although a year younger than Lionel and only three older then John, Ethel became like a mother to her two siblings. During this time the family lost some of their fortune and were in needs of financial help. Once again, Ethel took on some of the familial responsibilities and quit school to begin working as an actress. Barrymore got her start in the business thanks to her Uncle, John Drew Jr., who she joined in some touring production. It wouldn't take long for the young actress to get noticed and in 1895, at the age of 16, Barrymore made her Broadway debut as Katherine in the play The Imprudent Young Couple along side her uncle John. She acted with Drew again the next year, this time in the drama Rosemary and was then invited to London to appear in the famed stage director William Gillette's production of Secret Service. Although her initial intention was to return to America after her obligations to Secret Service were over, English audiences were positively smitten with American import. Reserved, mature and utterly sophisticated, Barrymore quickly began receiving offers and opted to remain London. She then played the role of Annette in Bell and soon found herself on tour. During her year stay in London, Barrymore built her reputation as an actress but also managed to become the toast of the city's social and artistic elite as well as gained many gentle callers. One of those gentlemen was none other than a young Winston Churchill, who proposed marriage to the young actress. Not wanting to spend her life as a politician's wife, she rejected the offer but the two remained life-long friends. When she returned to the United States, Barrymore continued to establish herself as one of the stage's great rising actress. She returned to Broadway with the Henri Lavedan melodrama Catherine in 1898 and in 1901 starred in the revival of the comedy Captain Jinks of the Horse Marines. The play was a resounding success and launched the already established actress into Broadway stardom. Barrymore then acted a string of successful Broadway comedy's such as A Country Mouse, Cousin Kate, and Sunday. N May of 1905 Barrymore returned to drama for the starring role in the Henrik Isben play A Doll's House. Despite her success and social standing in society, by the mid-1900's Barrymore was entering her mid-twenties and grew frustrated with her juvenile or ingenue roles. It was not until her marriage to socialite Russell Griswold Colt in 1909 that Barrymore finally began to receive more mature roles with roles in Mid-Channel. 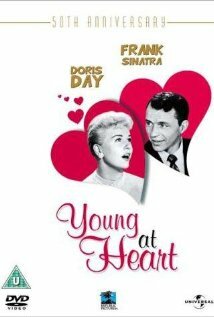 She starred in a series of mature role's that further demonstrated her talent and skill as an actress. This high point in her personal life also brought professional success. The Shadow, Our Mrs. Machesney, and Declasse were particularly large success that took Barrymore on the road and touring the country. During time, Barrymore began to take some interest in the new medium of film. Both John and Lionel had already made their peace with the medium and by 1914 Ethel decided she might as well, too. She made her film debut as Isola Franti in the 1914 film The Nightingale. Although Barrymore had no great love for the medium, she continued to act in films through out the 1910s. She worked almost exclusively with Metro Studio and filmed mainly in New York, as her Broadway career and family proved more a priority than Hollywood fame. Between 1914 and 1919 Barrymore made 15 silent films including The Call of People, The Lifted Veil, An American Widow and The Divorcee. Unfortunately almost all of Barrymore's silent films have been lost save on reel of the 1916 film The Awakening of Helena Richie and The Call of her People. However, by the 1919 Barrymore decided to put her film work on an indefinite hiatus to concentrate on Broadway and family. In 1920 Barrymore starred as Lady Helen Haden in the Zoe Akins drama Declassee. The play was smash hit and soon after Barrymore took it on the road. She returned to Broadway the next year to star in the Clair De Lune. In 1922 the 40-year-old actress made a career misstep when she played the lead role in Arthur Hopkins revival of Romeo and Juliet. The play was flop and the actress was received poorly. The next year Barrymore was able to redeem herself to the theatre going audience with a delightful performance in the comedy The Laughing Lady. That same year she divorced her husband, never to marry again. For the rest of the decade Barrymore remained on Broadway, appearing in hits such as The Second Mrs. Tenure and The Constants Wife. In 1928 received a particularly special honor when she opened the play The Kingdom of God in her own theatre, The Ethel Barrymore Theatre. By the start of the new decade Barrymore was once again drawn to the screen, this at the prospect of working with her brothers. In 1932 the veteran actress made her first sound film opposite John and Lionel Barrymore in Rasputin and the Empress. In the film Ethel played the Russian Czarina Alexandra while Lionel was the notorious monk Rasputin and John acted as highly fictional version of Prince Yusupov. Although the film was a minor hit, Barrymore disliked the experience and quickly returned to Broadway. For the next decade Barrymore remained in New York, starring in string of successful Broadway shows such as The Ghost of Yankee Doodle, Whiteoaks and Farm of Three Echoes. In 1940 she began work on perhaps the most famous of all her stage work, as Miss Moffat in The Corn is Green. In 1944 she starred in her final Broadway production, Embezzled Heaven, before making the moving west, this time permanently. In 1944 Barrymore was wooed back to Hollywood by Cary Grant, who asked the veteran actress to play his mother in the drama None But The Lonely Heart. For her efforts, Barrymore won the Best Supporting Actress Academy Award. Now with a prestigious award and substantially large compensation, Barrymore made the permanent move west and began appearing almost exclusively on film. She earned another Oscar nomination for her work in the gothic thriller The Spiral Staircase. She continued to play the enjoyable spinster in a myriad of films such as Alfred Hitchcock's The Paradine Case, The Farmer's Daughter, Portrait of Jennie, and Pinkie. In 1952 she appeared with her brother Lionel as cameos of themselves in Main Street to Broadway. 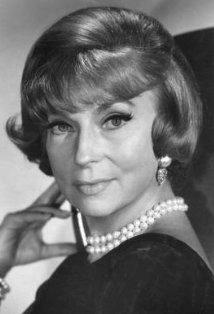 Her final film appearance came in 1957 with a small role in Johnny Trouble. Ethel Barrymore died on June 18th 1959. She was 79 years old. Ethel Barrymore was nominated for four Academy Awards, winning one for Best Supporting Actress for None but the Lonely Heart (as Ma Mott) in 1944. She was honored with one star on the Hollywood Walk of Fame in the category of Motion Pictures. In addition, Barrymore was inducted into the Theater Hall of Fame and was immortalized on a US postal stamp in 1982. 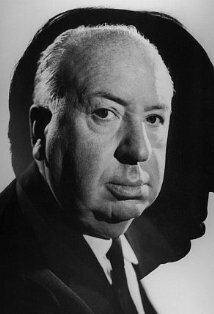 CLASSIC MOVIE HISTORY PROJECT BLOGATHON: ’S TRANSITION FROM STAGE TO SCREEN. Melba Wooley: Cousin Em, what do you mean, gettin' sick like this? Miss Em: When you're eighty years old, you expect to be sick. Sit down. Melba Wooley: Now, now. Naughty, naughty. Eighty years *young* is what we say. Miss Em: I don't. It's old, and I won't have it minimized. Takes a lot of livin' to get there, and pure, cursed endurance. Eighty years young indeed! Margaret Garrison: [to her daughters] You'll be happy to know that stupidity is not hereditary. You acquired it all by yourselves. Lady Sophie Horfield: [Rhetorically] Who needs pity more than a woman who's sinned? 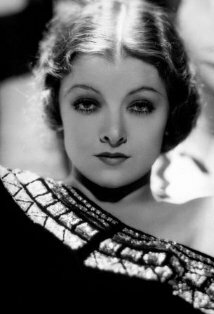 She and Lionel Barrymore were the first Oscar-winning brother and sister in the acting category. Screen, stage, and television actress. 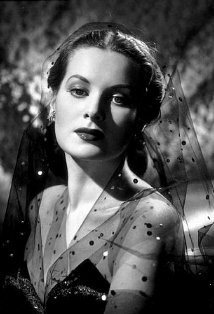 In Italy, she was often dubbed by Giovanna Scotto (The Spiral Staircase (1945) and The Paradine Case (1947)), Tina Lattanzi (Pinky (1949)) and Lola Braccini. 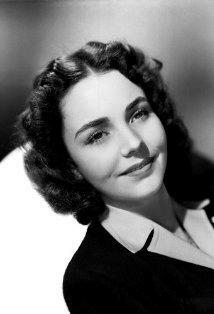 She was once dubbed by Wanda Capodaglio in Moonrise (1948).